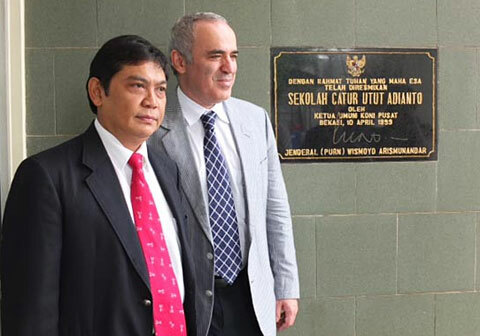 Kasparov was very well received in Indonesia – at the official level, in the media, and of course by our millions of chess fans. Chess has great grassroots popularity here, so we are eager to work on ways to match that enthusiasm with public and private support, as Kasparov’s foundations have done. We had a meeting with Mr. Muhammad Nuh, the highly esteemed Minister of Education and Culture. Minister Nuh was very interested in the idea of chess as a useful tool to improve the education system. Along with its benefits of logic and concentration, an inexpensive activity like chess that can motivate students could be a very welcome enhancement to the education system. 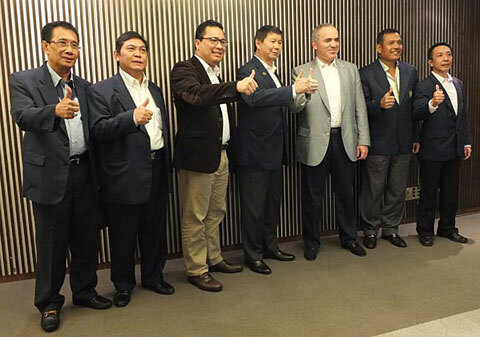 Our meeting with the Indonesia Olympic Committee was very successful and they offered worldwide support. Garry also met with Mr. Roy Suryo, the Minister of Youth and Sports Affairs of Indonesia, who is very knowledgeable on technology and the media. 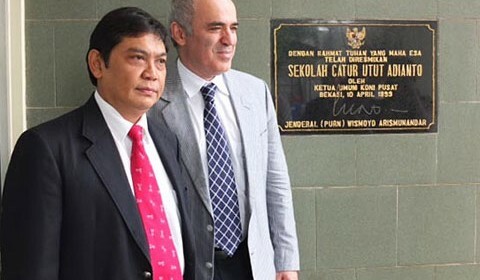 The board of the Indonesian Chess Federation was also enthusiastic and federation president Hashim S. Djojohadikusumo, a kind and informative host. We know Kirsan Ilyumzhinov has done good things for chess, but these were typically special gifts and not a stable and sustaining system. We believe chess needs to move to the next level of sponsorship like other sports, where each country can develop and grow as part of a global system. There is no doubt Garry Kasparov is the right person for this job! I first met Garry in 1980, when we both played in the World Junior Championship in Dortmund, where he was 17 and I was 15. After he won the event we met and discussed my studies. I told him I was working, but that chess books were hard to find in Indonesia (this is long before the Internet and databases!). He told me he would bring me the best Russian book on openings at the Malta Olympiad at the end of the year. Unfortunately, I did not participate in the Olympiad that year. So Garry signed the book to me and tracked down the Indonesian team in Malta to bring the book back to me. It is Panov and Estrin’s “Opening Guide,” and it says, “For my chess friend Utut Adianto, Malta, 01-12-1980″. 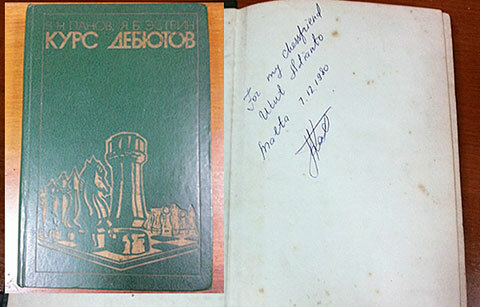 I still treasure this gift today among my collection of over 4000 chess books. In fact, I brought the book to several our meetings here in Jakarta to share this story with the ministers. I told them that in politics it is normal for people to make promises, but then they leave and you never hear from them again. 33 years ago, a great player, Garry Kasparov, made a promise and he kept that promise. And when he promises now, he will deliver!